In Iran, I had tasted a dazzling variety of jams, from quince and watermelon peel to cucumber and eggplant. My favorite jam, however, was made of Seville orange blossom petals. 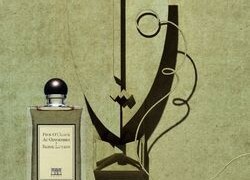 It had the heady scent of orange flowers, honeyed, delicately green with a hint of leather and musk. Sometimes orange blossom jam is enhanced with lemon peel, but the best recipes contain only flower petals, lemon juice (or citric acid) and sugar. You can drizzle it on yogurt and bread, but it’s so luscious that I prefer it the way the Greeks serve their spoon sweets–with a glass of cold water. A cup of black coffee is always welcome. The distillate of musk willow, Salix aegyptiaca, smells like Caron Bellodgia. 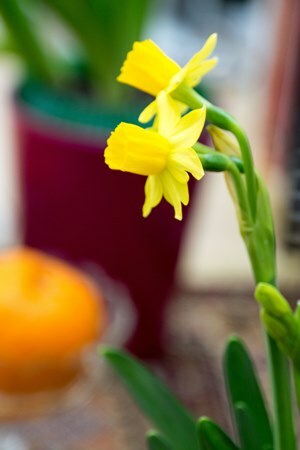 It has a scent reminiscent of spicy carnation with a fruity accent, and I enjoy the scent so much that I use it in any dessert where I would use rose or orange blossom water. Rice pudding with willow water is heavenly. Look for a bidmeshk or willow distillate at Iranian or Middle Eastern stores. Persian cuisine features a large array of distillates from all sorts of spices, herbs and flowers, so don’t hesitate to experiment. You can even blend them to create your own flavoring. Musk willow can also be used to flavor nabaat, crystallized sugar on a stick. It’s not eaten like a candy, but rather used as a stirrer in tea or coffee. As the sugar melts, it lends your drink a delicate taste of flowers. 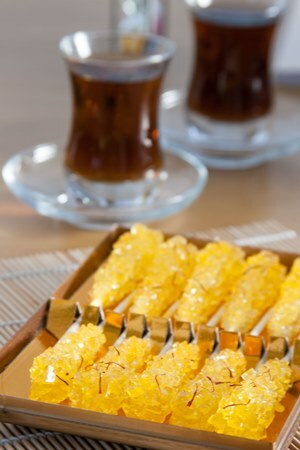 Can you imagine the taste of jasmine coated in a thin, crackly sugar crust? If you like candied violets and roses, you might find candied jasmine more delicately scented, but it can also be used to decorate fruit desserts and cakes. I like it with a piece of bitter chocolate for a more dramatic contrast of flavors. 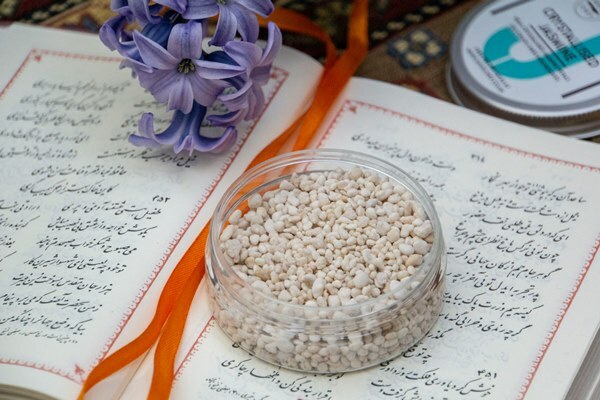 Noghl is a family of Persian sweets that includes dragée nuts and even legumes. The main ingredient, such as walnuts, almonds or chickpeas, are roasted and then tossed in sugar syrup and cooked till the sugar forms a crisp coating. The syrup may be flavored with willow, jasmine, saffron or other spices, but my favorite is rose. Rose, almond, light caramel–what could be better? In the UK: For a Taste of Persia website. France: Su-Perse website. USA: Sadaaf, Kalamala websites. If you know of other Persian grocery stores, especially ones that ship within the EU, please let me know. Candied jasmine is available from the UK based site called Sous Chef (they ship in the EU). The FreshMed Store in Brussels carries everything I mentioned in this article–and more. As you know, I sort of celebrated Nowruz already in my children’s classroom. But we will do something this week at home. 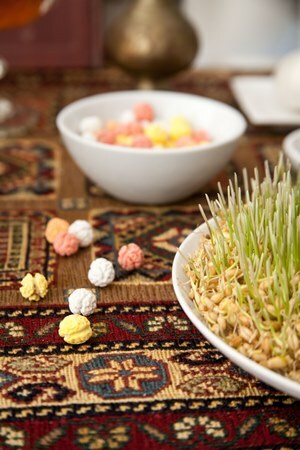 There was a sweet article about the history of Nowruz in the WSJ over the weekend. Though I am not Persian, I seem to be really drawn to the culture and have celebrated Nowruz for many years. Sometimes I wonder what other people think of that…. My favorite floral dessert is Muhalbiyah, more of an Arabic pudding. I add both rose and orange blossom water. On top, once the pudding has set in the fridge I add crushed pistachios, crushed dark chocolate (or Arabic coffee) and rose petals. Victoria: It’s a beautiful holiday and it’s my favorite too. There is so much to love about it–the celebration of spring, new life, flowers, nature, scents and all of the beautiful things. Sandra: Yes, I had an issue with consistency as well. Last April when I was in San Francisco I went to my favorite Armenian restaurant where they do the Muhalbiyah really well. I told the waiter how I was trying to do this at home and my troubles with having it either too thin and watery or too thick. He spoke with chef and said I should use whipping cream. I have made it several times since then and it has come out well. I do use cornstarch, maybe a tablespoon to start, and I will add more depending on if its still watery or not..and you have to really put some elbow grease into it and stir and stir. As soon as I feel that the pudding is coating the back of my spoon I turn off the head and strain it right away or else it becomes too thick. Victoria: Yes, exactly, either flower water may be used. Rose and willow have a similar flavor profile, while orange blossom is different. Inma: Love so much this article, yes, all my senses feel alive. Here in Seville I was asking to some business if they would let me see how they work with orange blossom petals, I was not lucky. And, I could not find any orange blossom petal jam, maybe something like that was part of our culinary culture, it doesn´t seem to be anymore. I am approaching other people so I may get to know better the orange blossom harvest in my city. It is something so obvious – orange blossoms in Seville – and so hidden at the same time. Aurora: I have a sweet tooth so relished everything in this post. A custom that I remember from Algeria is dipping your hands in orange flower water before baking. I you work with your hands for the preparation then everything become subtly scented, you can do it with rose water. 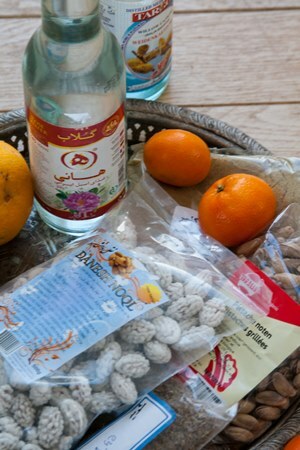 I find Iranian rose water and Lebanese orange flower water, quince and rose jam at my local Turkish store but so many thanks for the UK website (I browsed it and everything looks so tempting) and the Iranian stores in London you posted in the comments. Lydia: I have been exploring and loving orange blossom perfumes more in the last year, so the idea of orange blossom jam sounds heavenly, as do all the desserts you mentioned. Bellodgia-scented rice pudding? Oh my. I’ve made coconut milk kudzu pudding in the summer with vanilla, and was planning on trying rosewater next time. Now I want to find musk willow water and flavor it with that.